What if every voter had an equal say no matter their Steem Power? The Daily Tribune finds out and highlights those posts that would have been rewarded most but weren't. In ancient Rome, the Tribune of the Plebs was the voice of the people, serving as an important balance to the power of the ruling class. 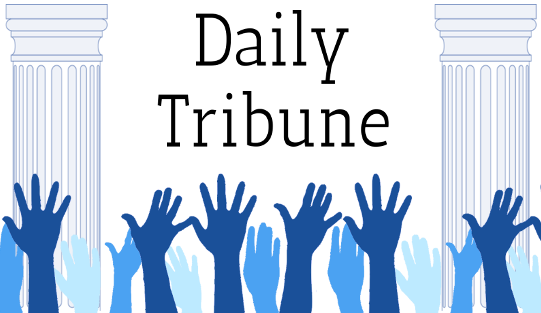 With your help, we hope the Daily Tribune will serve a similar purpose for the Steemit community. In order to allow highlighted posts to benefit from greater visibility before the first payout, we plan to post twice a day, each covering the prior 12 hours of posts that have had at least 3 hours for votes to come in. Each post will rank the top 80 most undervalued posts for that period. Please note that this isn't necessarily a direct criticism of Steemit's reward algorithms. An automatic reward system needs to be resilient against more potential abuses than a community driven effort such as this one, in which humans remain in the loop to reward deserving posts with more votes or flag undeserving ones. If you want to see more about how we rank posts, you can read about some of our methodology, data analysis and technical details in our initial post. If you'd like to see Steemit's rewards be more democratic, please consider following us as well as browsing the rankings and upvoting posts you agree are undervalued. Also, we are very grateful to @jlufer, @jonathanxvi, @iloveupvotes, @yadamaniart and any others we missed for the recent resteems. @sirwinchester Good Posture: Why it's important and how it affects our health! @thecryptofiend Do Visceral States Like Hunger Affect Morality? @ozchartart $STEEM/BTC Daily Poloniex+Bittrex Technical Analysis / Market Report Update #191, Feb. 12, 2017. @ozchartart $BTS/BTC Daily Poloniex Technical Analysis / Market Report Update #80, Feb. 12, 2017. @hilarski Public Debt as a Percentage of GDP. @stephenkendal BLOCKCHAIN: 90 Percent of top Executives expect Blockchain to transform Markets within five years..!! @stephenkendal Yesterday we saw 141,950 Daily Transactions on Steemit. This represents 7 out of the last 7 days at +100,000. What is 100,000..!! @prufarchy To Catch A Steem Gnome - Steem Gnome Give Away! @michelle.gent Apologies! For how late I am with the results of the competition! @mapala First community on a Steem Blockchain. Mapalanet — society of independent travellers. @runridefly Meme challenge #4 Entry #1 BLUE...BLUE! @sirlunchthehost V.O.T.U. 's Interview w/@pfunk preview Campaign Push #2 for Minnows,Dolphin,Whale Support. @samstonehill New Steemit incentive to quit smoking as a group! @allmonitors Steem EZ2 Game#18: Minimum Pot: 9.175 Steem Draw Date: 2/14/2017 @ 1:00 PM (GMT). A Unique Steem Distribution Game!! All Steem and SBD will be awarded to the winners. @stephenkendal There are now +2.8 billion people using Social Media of which +2.6 billion people use Mobile Social Media..!! @shla-rafia False False Message: Circles in foam are definitely Robo-Latte art! @marius19 Valentine's Day lovers day that most feel that "love is in the air"
Have a great night, I appreciate you guys!! Hat trick for me today with 31, 32 & 67..!! This post has been ranked within the top 50 most undervalued posts in the first half of Feb 14. We estimate that this post is undervalued by $7.75 as compared to a scenario in which every voter had an equal say. See the full rankings and details in The Daily Tribune: Feb 14 - Part I. You can also read about some of our methodology, data analysis and technical details in our initial post.